Our public insurance adjusters will expertly manage your entire claim. Using a simple, effective process we’ve helped expedite & maximize over 5000 insurance claims. Our process involves educating our clients, expediting the claim filing, and maximizing the indemnification to best suit your needs. From filing to the finish line, we may very well be the best decision you ever make. We will file your claim properly and timely under the most beneficial coverage to ensure a maximized payout per the policy. We will provide a full evaluation of the loss, reflecting the entire legal value. We record and support every aspect of your claim. We ensure timely claims payments, we make claims for recoverable depreciation, and our job is not finished until yours is. Water damage insurance is a highly debated and intricate topic of property insurance policies. Multi-family insurance claims are complex and require specific industry knowledge to properly file. Professional insurance claim help that you can count on. 1.) Tell us about you. 2.) Tell us about your structure. 3.) Tell us about your location. We understand how important is for you to focus on your business goals. Any insurance claim process can delay your productivity and leave you buried in complex negotiations. 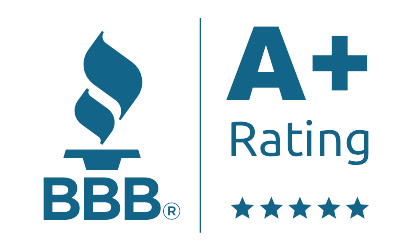 We are members of TAPIA, Rotary International, IICRC certified and rated A+ by the Better Business Bureau. All American Public Adjusters is committed to providing you the highest possible quality of service. If you have no recovery, we have no fee, and there are no exceptions. With offices in Austin and Houston, we proudly serve all of Texas. We are committed to representing our clients' best interest. We are dedicated to exemplary customer service and offer 24/7 emergency response. We have licensed insurance adjusters, public adjusters, and agents on staff with IICRC and NFIP credentials. Over 40 years combined experience with multiple insurance companies and disasters. Serving the states of Texas, Oklahoma, Arizona, Ohio, Utah and Puerto Rico. Mike Fried, CEO All American Public Adjusters is a board member of the Texas Association of Public Insurance Adjusters (TAPIA). We take our profession seriously, and are involved directly as a company in the maintenance of standards and industry knowledge for public insurance adjusters. We’ve worked with hundreds of clients and have a long list of satisfied business partners. Contact an expert public adjuster today! We handle the entire claims process. If you have no recovery, we charge no fee, no exceptions! All American Public Adjusters, LLC. © 2019 All American Public Adjusters. Licensed in Texas, Oklahoma, Ohio, Colorado and Utah with offices in Houston, Texas, Austin, Texas, San Antonio, Texas, and Dallas, Texas. We serve commercial clients, businesses, hospital, industrial, hotel, college, university, homeowner and residential claims for roof, water, wind, fire, hail, mold, tornado and hurricane. We provide policy review, estimating and inspection services, claim filing and appraisal and umpire services. Call AAPA for a free claim consultation at (866) 49-MYCLAIM, email at claims@mytxpa.com online.